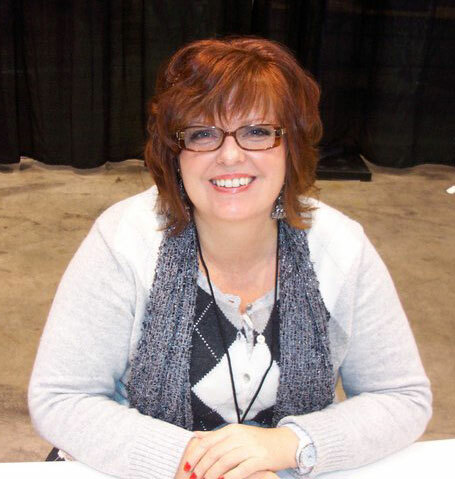 Gail Simone, script writer for the upcoming FIRESTORM series, recently did an interview for GEEKIN’ OUT. They covered FIRESTORM, BATGIRL, and many other comic topics. Click here for part one of the interview, then click here for part two. It’s a great interview and definitely worth your time! Kim: Hi Gail, we’ll start off with the big DC relaunch announcement. Can you tell us about the books that you will be working on and how you were approached to do them? Gail: … With Fury of Firestorm, I had been approached several times to write the book and said ‘No’ and that I wasn’t interested. Ethan Van Sciver just kept bothering me though and telling me that I needed to do it. Then, sort of all at once I had all of these ideas about Firestorm and between Ethan and I, we came up with is an amazing story. The book is really about what binds us together and what can tear us apart. We both get to explore these two very relatable characters and what’s it like for them having these powers, essentially the ability to hit the nuclear button at any time and what they will or won’t do with that. We built the story together – it has horror elements and touching family interactions and politics, it’s just full of amazing big stories. The closest thing to compare it to would be the early Geoff Johns’ Green Lantern stories in terms of the scope and the game changer that it is. Pretty exciting stuff! I’m interested to see what direction the “family interactions” take. Both Ronnie and Jason in the original continuity had issues with their fathers. I wonder if that will continue and if we’ll see their mothers in this new continuity. With politics entering into the book, it’ll be interesting to see how that turns out. Gail and Ethan Van Sciver, the writers of the book, are both politically outspoken and don’t necessarily agree on issues. Finally, comparing this book to Geoff Johns’ GREEN LANTERN is setting the bar pretty high, but I think this creative team has the talent to pull it off! I’m tellin’ ya, September 28th and THE FURY OF FIRESTORM: THE NUCLEAR MEN #1 can’t get here soon enough! Great interview with Gail! You should definitely visit GEEKIN’ OUT and read the entire interview. You can keep up with Gail on Facebook and Twitter. Don’t forget to also follow FIRESTORM FAN on Twitter! Support Firestorm (and Gail Simone)! Fan the flame! Hopefully the pairing of Simone and EVS can create something memorable. I have read that the two of them evidently disagree on everything except that they love comics, so hopefully that friction will produce some high-drama superheroics.